Each day we are able to unwrap a gift from God and this day was no different. Waking up in Jerusalem was a gift in itself but we got on the bus and headed for the Israel Museum. George took us to the model of the Old City at the Israel Museum and the Shrine of the Book as it allowed us to relate Jerusalem in the first century to the present Jerusalem that we were to explore in the afternoon. We viewed the Dead Sea Scrolls that were discovered in the late 1940’s that validated the authenticity and consistency of God’s Word over the centuries. In arriving at the walled city, we started underneath at Solomon’s Quarries, then off to a picnic lunch at an old market street. After we were filled up we headed to the top of the Mount of Olives and took the route Jesus might have taken on the Passover journey to Jerusalem. God was present in George’s teachings as we sat listening while overlooking the city. We proceeded down the hill to the Pool of Bethesda and the Church of St. Anne where we were able to sing Amazing Grace, enhanced by amazing acoustics with George leading us. It was a memory not soon to be forgotten. Then we traveled down the Via Dalorosa ending at the Holy Sepulchre Church. According to tradition, this is where Jesus was crucified and buried nearby. This was our day on paper but the highlights were the teachings and the relationship of Moses and Jesus, the Passover and… My notebook was filled with notes and my Bible was well marked. I feel we have become a family. It is so easy to talk or eat with anyone you happen to be near. What a blessing this trip has been. 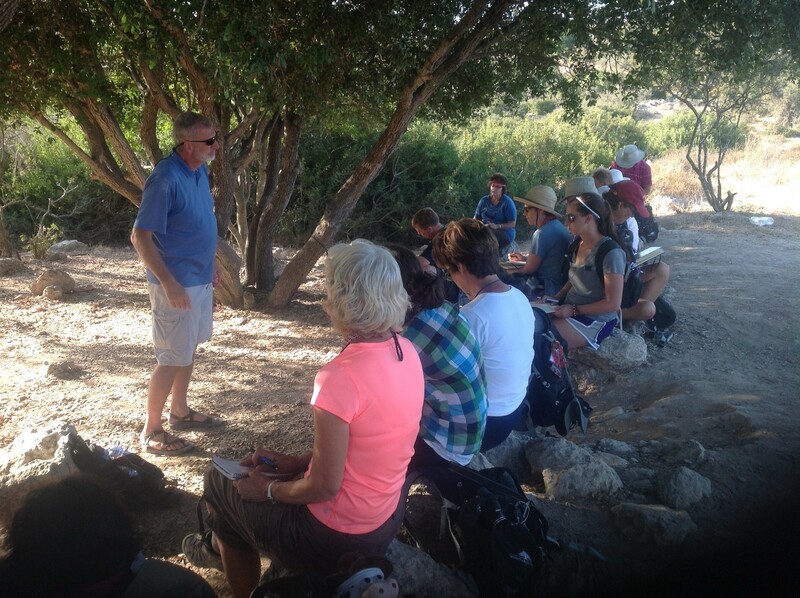 Under the Fig Tree provides Biblical Study Tours and video-based Faith Lessons that bring the land and lessons of the Bible to life.